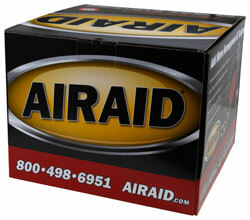 The AIRAID 203-196 fits some Cadillac Escalade, Cadillac Escalade ESV, Cadillac Escalade EXT, Chevrolet Avalanche, Chevrolet Silverado 1500, Chevrolet Silverado 2500 HD, Chevrolet Silverado 3500 HD, Chevrolet Suburban 1500, Chevrolet Suburban 2500, Chevrolet Tahoe, Chevrolet Tahoe Hybrid, GMC Sierra 1500, GMC Sierra 2500 HD, GMC Sierra 3500 HD, GMC Yukon, GMC Yukon Denali, GMC Yukon XL 1500, GMC Yukon XL 1500 Denali, and GMC Yukon XL 2500 models. See vehicle applications for details. Hey guys just want to say love your product easy to install. Very good fit can’t wait to do more to my truck to get it to a top performance vehicle.